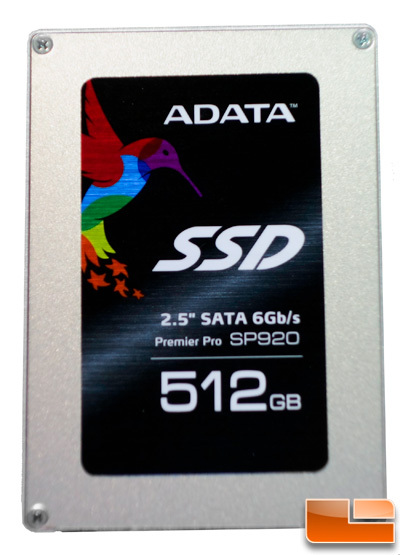 It’s been awhile since we’ve had an ADATA product on our bench and today we’ll be looking at the ADATA Premiere Pro SP920 512GB SSD that is powered by the Marvell 88SS9189 controller that we’ve seen on a few drives now and know to be very effective. In fact, the Crucial M550 drive we reviewed recently carried the very same controller and as such, the two drives are very similar in performance. In fact, they are nearly identical in every way down to the 20nm Micron NAND found within that we’ll peek at on the next page. The performance numbers depend heavily on the drive capacity but the 512GB version we received is rated for 560MB/s reads and 500MB/s writes with IOPS numbers reaching 98K/88K for reads/writes. The smaller drivers, particularly the 128GB drive, touts more modest performance numbers in the writes department. Pricing is excellent with the 512GB drive set to retail for just $335 although we haven’t been able to find it for sale online just yet. All of the drives are covered with a 3-year warranty. 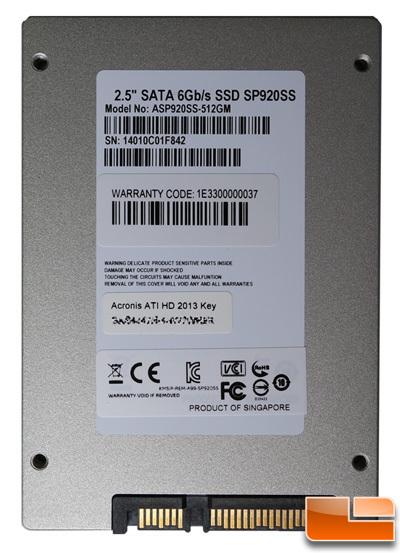 Along with the drive itself, the SP920 comes with a quick start guide, a 2.5″ to 3.5″ plastic adapter tray, Acronis ATI HD 2013 drive migration software key (on the back of the drive) and a 2.5mm spacer. The 2.5mm spacer changes the drive Z -height from 7mm to 9.5mm for those devices where the 9.5mm is required for proper fitment. It simply adheres to the drive.